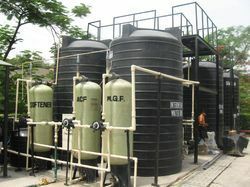 Supplier & Manufacturer of Effluent Treatment Plant Equipments & Effluent Treatment Plant Equipment. Our product range also comprises of Industrial Towers, Industrial Boilers and Industrial Vessels And Storage Tanks. these equipment are available in various specifications as well as in custom-built range, so as to match the exact needs of the patrons. We are a leading exporter and supplier of Cartridge Filters. 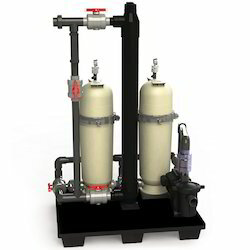 These Cartridge Filters completely removes oil, water, & dirt from compressed air & other gases. This Filter removes 99-9999% of 0.01 micron size particles of oil, water & dirt continuously. These Cartridge Filters are available in market at competitive rates. Our company is known globally for supplying cartridge filters for various Industrial and commercial water purification purpose. Keeping the requirements of the clients in mind, we are engaged in manufacturing, supplying and exporting Effluent Treatment Plant Equipment. Manufactured in compliance with industry laid guidelines, these equipment are available in various specifications as well as in custom-built range, so as to match the exact needs of the patrons. Stringently examined on various quality parameters before the final dispatch.